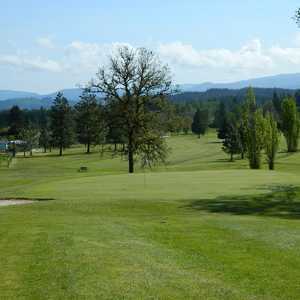 The 9-hole Golf City Par-3 in Corvallis, OR is a public golf course that opened in 1978. Designed by Ed Burns, Golf City Par-3 measures 801 yards from the longest tees. Fun course and great staff. Greens are tough to hold sometimes but always fun. 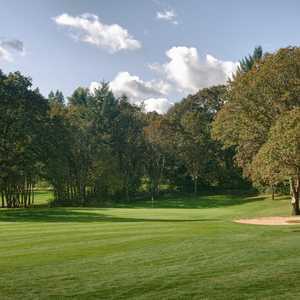 This is your traditional pitch and putt course. Very laid back w/ golfers w/out shirts, flip flops, beers. As far as golf, short but very demanding. 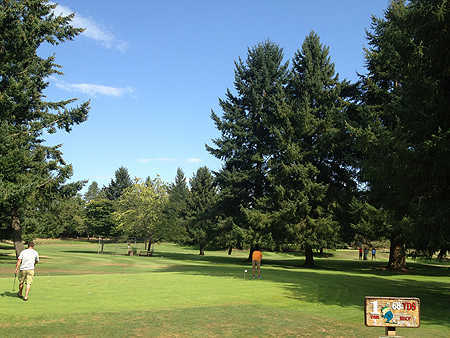 The hot tub sized greens are the smallest I have ever played, and only quality shots will hold the green off the tee. The 'par 4' 8th hole is a gimmick hole that is a bit out of place on this course. Only a tour pro could hit the tee shot high enough to get on the green. 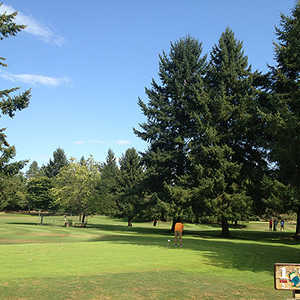 The bushes/trees directly in front of you force you to hit a 30 yrd tee shot around the trouble. My sweetheart LOVES this course! He has promised to teach me the art of golf and this is where I want to start out. Today will be my first time to actually get out on the fairway. I am excited to finally get out there. Normally, I like to enjoy the food and video games in the bar/restaurant .I can watch him through the windows that face the greens. Rich, my sweetie, says that the greens are really nice and tough ,(because they are elevated ). Some are tough, but, they are all fun. The number 6 hole is his favorite because he landed one 6" from the hole. As he puts it ,"A gimme birdie". He has parred the course twice. We found out about Par-3 when we moved here three years ago.We have gone there many times since and have never had anything but a great time all the way around.Thanks to the whole crew that makes it a special place for us to go! 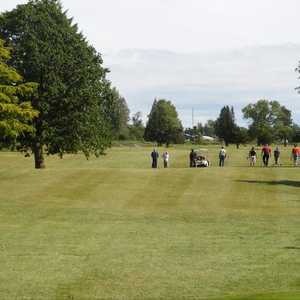 Perfect course for the novice golfer! Great place to go after work!